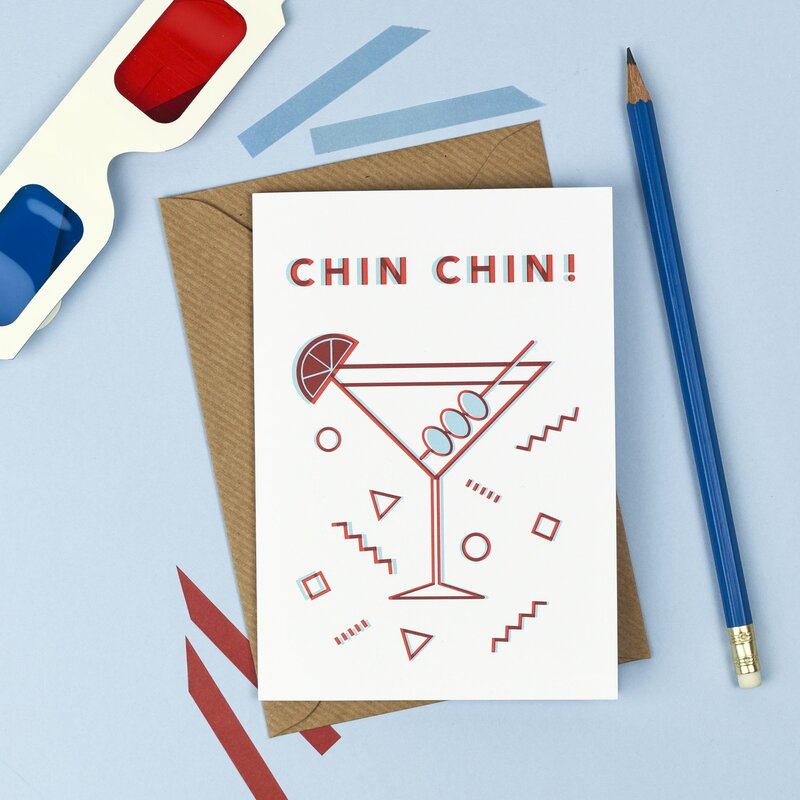 Unique ‘chin chin’ card sold with red and blue 3D anaglyph glasses to make the design pop! For someone who loves retro designs and cocktails! Part of a wider 3D card range designed by Kate & The Ink in Edinburgh.